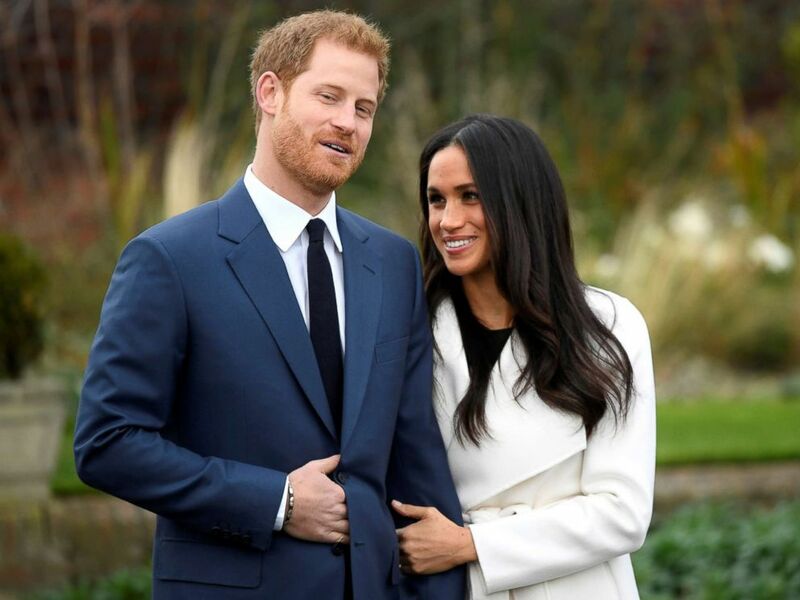 The royal wedding plans of Prince Harry and his American-bride-to-be Meghan Markle are firming up as the couple released more details Sunday of the nuptials while expressing thanks for the good wishes they've been showered with from around the globe. 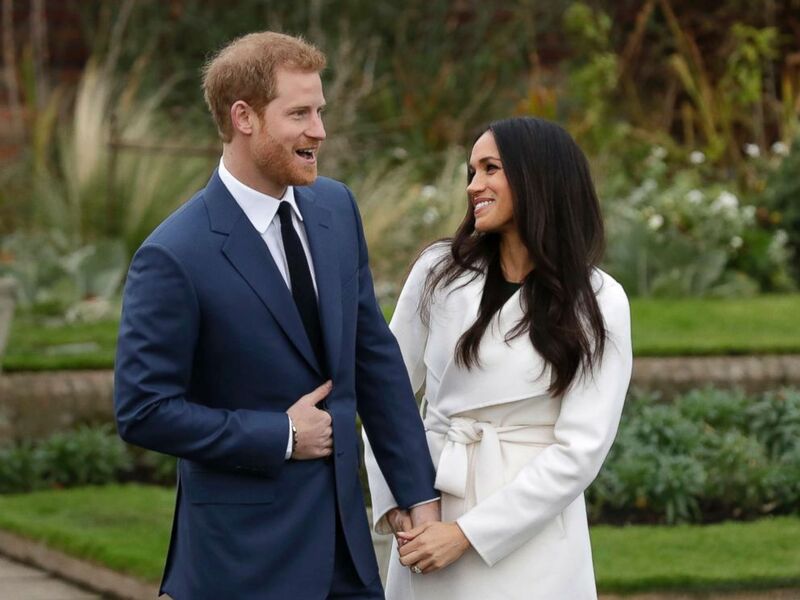 The wedding will begin at noon on May 19 at St. George's Chapel at Windsor Castle, about 22 miles outside of London, Kensington Palace officials said in a statement Sunday. Welby also performed the christening of Prince Harry's nephew, Prince George, in 2013. Following the hour-long wedding ceremony, Harry and Markle plan to undertake a carriage procession that will start at St. George's Chapel, leave Windsor Castle via Castle Hill, continue along High Street through Windsor Town before returning to Windsor Castle on a route called the Long Walk. "They hope this short journey will provide an opportunity for more people to come together around Windsor and enjoy the atmosphere of this special day," the Kensington Palace statement reads. After the carriage procession, the newlyweds will attend a reception at St. George's Hall, where they will rejoin their wedding guests. They will likely include Harry's grandparents, Queen Elizabeth II and Prince Philip; his father, Prince Charles; and his big brother, Prince William, and his wife, Kate Middleton, the Duchess of Cambridge. While the official wedding guest list remains a closely guarded secret, the couple is expected to fill St. George's Chapel, which has a capacity to hold 800. Britain's Prince Harry poses with Meghan Markle in the Sunken Garden of Kensington Palace, London, Nov. 27, 2017. "Prince Harry and Ms. Meghan Markle are hugely grateful for the many good wishes they have received since announcing their engagement," the Kensington Palace statement reads. "They are very much looking forward to the day and to being able to share their celebrations with the public." Prince Harry, 33, the fifth in line to the British throne, and Markle, 36, an actress who was born and raised in Los Angeles, announced their engagement in November. Speaking with reporters outside Kensington Palace, Markle showed off her engagement ring, which features two diamonds from the personal collection of Harry's mother, the late Princess Diana. "The little diamonds on either side are from my mother's jewelry collection to make sure that she's with us on this crazy journey together," Harry told the BBC during the first interview he and Markle gave in November as an engaged couple.